In 1996, Mark Carpenter started Columbia Construction Services, Inc. dba, Columbia Roofing and Sheet Metal. The company started by doing small repairs that built into a successful business model of helping owners make financial sense out of roofing repairs and replacement. 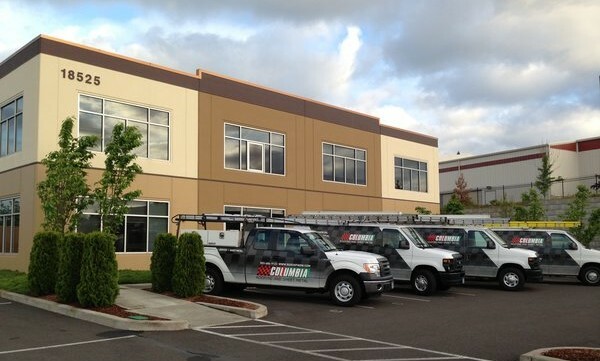 While the average roofing company stays in business just five years or less, Columbia Roofing and Sheet Metal has spent more than a decade in the rain-soaked Pacific Northwest putting roofs over the things that people care about most. So whether it’s a question you need answered, or maintenance and repair issues that need addressing, you can rely on the fact that Columbia Roofing and Sheet Metal will be around to take care of you, your building, and your business. Columbia Roofing & Sheet Metal now does work in Oregon, Washington, Idaho and California with a year around staff of over 60 people. Columbia provides 24/7 leak repair service, full commercial replacement and recovers, sheet metal work and roofs, plus commercial repairs and maintenance. The company’s statement tells you how they do business, “Expert Solutions, Guaranteed Results”, it’s just how we do business. Honesty in all we do. Walk the talk. Treat each other with dignity, valuing and benefiting from personal differences. It takes all types to build a performing team! We value strong relationships in all areas; with employees, clients (internal and external), and our vendors. Measured progress. We strive to achieve excellent results. We accept personal responsibility and accountability. This means meeting goals, completing jobs on time, control costs, deliver the proper scope, without sacrificing quality. Work free from harm and communicate issues. We build safety into everything we do. We care about our customers’ safety too. We do background checks and drug screening.